Lieutenant Colonel Ian McCulloch is a military historian, the former Deputy Director of History & Heritage for the Canadian Forces in Ottawa. He currently serves on the Directing Staff of the Canadian Forces Joint Command & Staff College. Ian is an avid military historian and has published numerous articles in international journals, magazines and anthologies. 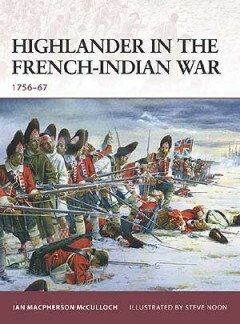 He has written several books, including a comprehensive two volume history Sons of the Mountains: The Highland Regiments in the French & Indian War, 1756–67, chronicling the service of the three Highland regiments that fought in North America during the Seven Years’ War.